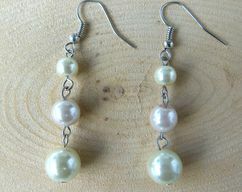 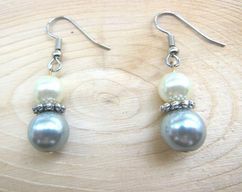 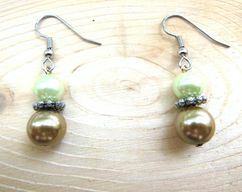 I used glass pearls in a pale pink color, along with silver-plated findings, to make these cute dangle earrings. 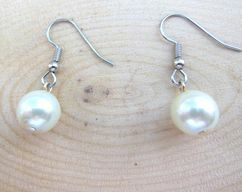 If you'd like me to replace the hooks with hypoallergenic surgical steel hooks, please let me know. 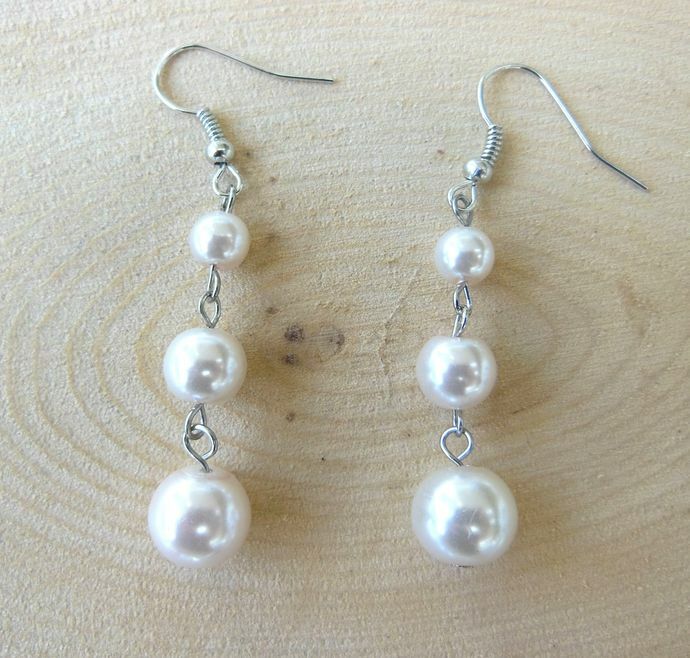 I can do that for you, free of charge.